Estella's Revenge: 56 Days 'Til Wedding Time! 56 Days 'Til Wedding Time! 56 days until our wedding day. I woke up in the middle of the night a few weeks ago having an "OMG WE'VE DONE NOTHING" moment. But in truth, we have done things. Now we have a few major items still to take care of. 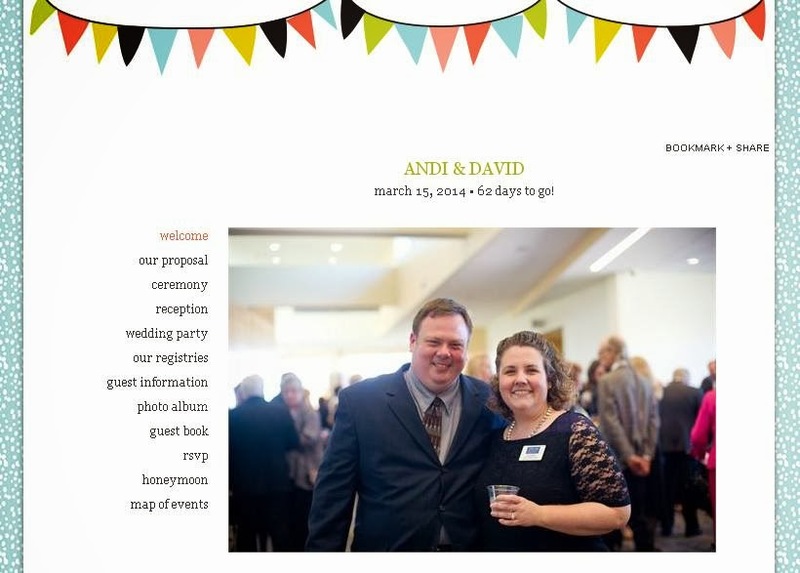 We need a photographer for the ceremony, and we also need to wrap up the invitations. We're pushing that a bit, but it'll be done and they'll be out next week. So how is the wedding shaping up? Something like this. There will be an owl cake topper from this awesome Etsy seller. 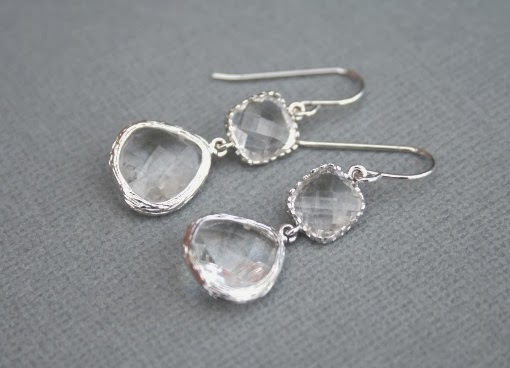 And these pretty earrings from this Etsy seller. And these sweet DIY favors. 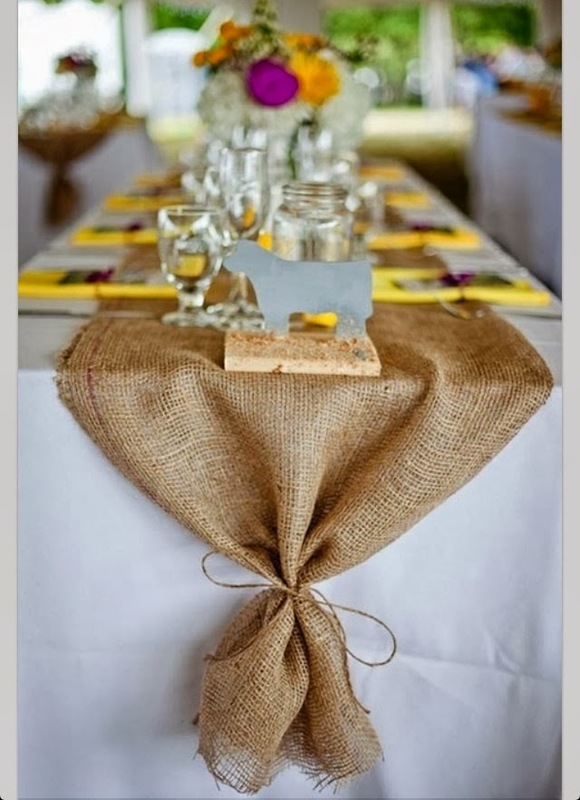 And burlap, bling, and books. What's a wedding without some books? Thank you, Lesley! This weekend has been a super busy bunch of planning. It's coming along! Lovely and wonderful. Great story. I can't wait to share those, Tif! It's gonna be so much fun! Wow, 56 days! It'll be here before you know it. What an exciting time! aww the earrings are pretty!! do no forget to enjoy the preparations either. Thank you, Ciska! I'm eating up the preparations. So much fun! THOSE CAKE TOPPERS. I definitely just favorited those... please don't be surprised if they show up at another wedding in a couple of years. Thank you, Lu! I can't wait to share more! Thank you, Dana! It's definitely coming up fast. Congratulations--always so nice to hear good news! :) Good luck getting everything organized--looks like you have some great ideas! Thank you, Danielle! We're thrilled and really enjoying the planning process. So close!! And how very exciting! I love the details you've shared here... all of it! You are going to have such a fabulous day! 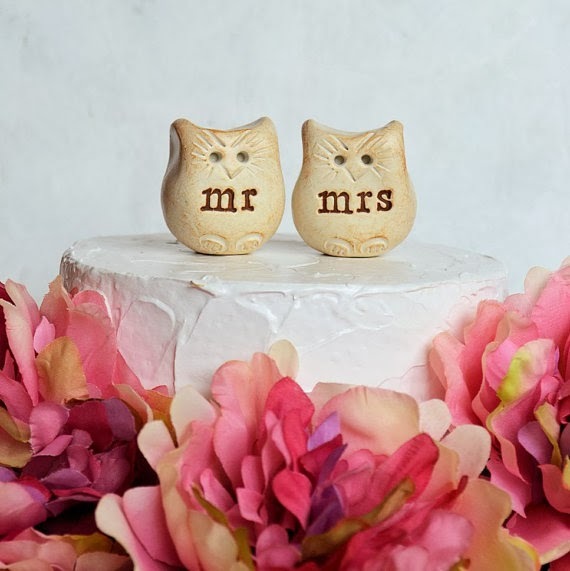 You destroyed me with the owl cake topper - so flippin' cute!! I had a penguin cake topper, so I FULLY support the owls. Birds for the win! I can't wait to hear all about the wedding, I have no doubt it will be wonderful! I love the owls! You've pretty much got this. Hope the rest sets up quickly. It'll be a great day. What fun! Thanks for sharing your details! 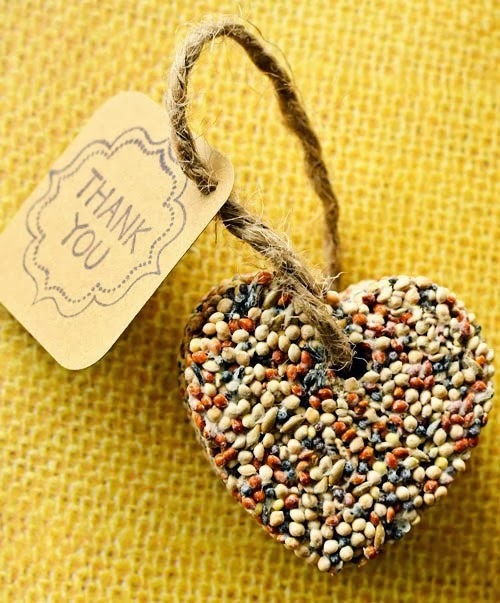 oh I love those bird seed favors ~ how sweet! and the owl toppers are simply divine! Congratulations and enjoy these moments leading up to the grand day! Soooo cute! I love the cake topper!!!!! And yay for getting married soon!!!!!!! Your owl cake toppers are the best! So cute :) Congrats and good luck with the rest of your planning. Congratulations Andi! Best wishes for a wonderful future! I am so excited for you! I hope your wedding is incredible. Just enjoy every second of it, it goes so fast. Your wedding is really going to be uniquely yours!